Compared to some of the equines that pass through our hands, Asal has led a charmed life. His owner, who had inherited some donkeys with his new house, needed to find him a new home. 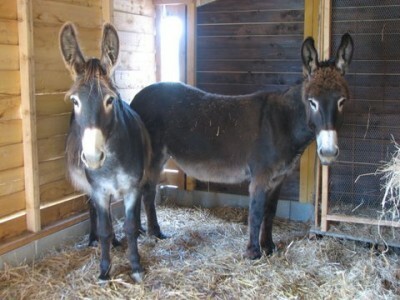 He wanted the donkeys to be safe for life, so chose ERF to rehome for him as all our equines go out under contract. 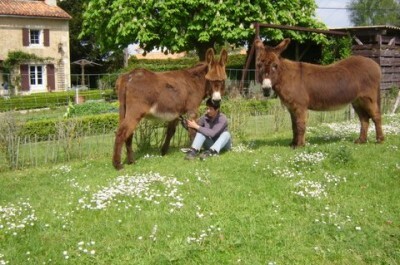 We were approached by a lovely Dutch couple offering Asal a home as a companion to their lonely donkey, Boris. Check Boris on the left rocking that fringe! 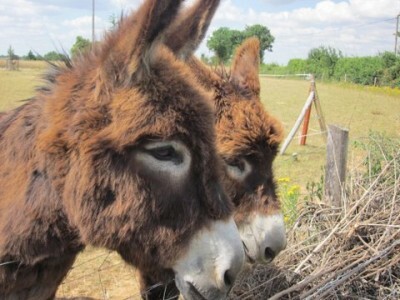 We had no hesitation in agreeing to them being Asal’s new guardian as he would be joining Boris in a donkey heaven, so Asal went off to his new home in 2009. These lucky boys get taken for walks to keep their interest in life, and are the apple of their guardians’ eyes! 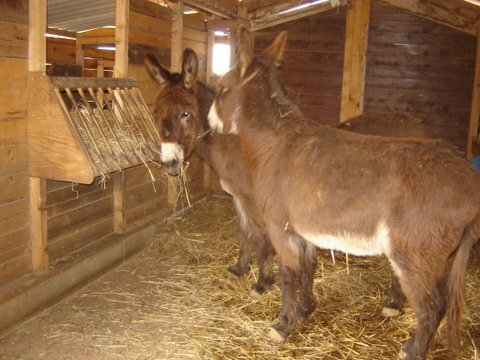 Not only that, take a look at their winter quarters! 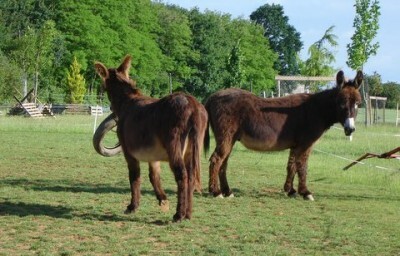 So all in all, we don’t think there are many luckier donks in the world!